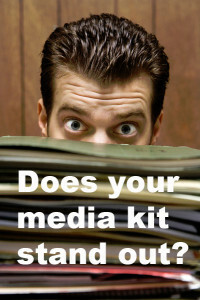 The media or press kit has long been considered one of the most important media seeking tools of any PR campaign. In fact, the strength of the kit in terms of generating intrigue and further interest in your news will often break down barriers and open up new distribution channels of opportunity. No doubt about it the information neatly organized to enable the reader to act upon the resources presented is always the primary goal of any strong media kit design. At Outside Connections, LLC our team of PR professionals has the expertise to make a positive impact with your next media blitz. We speak the language that television, radio, magazines and newspapers like to hear. Our media kit content is presented clean and crisp providing the sort of useful material that gets mentioned over and over. Introductory cover letter with contact information. Individual press releases covering new products, services or organizational information. Fact sheet containing a quick reference of important details. Product images, graphics, logos, pictures contained on a CD/DVD, thumb drive or an easy link with download instructions. Descriptive brochures, literature or actual product samples. Quote or testimonial sheet containing celebrity or authority references. Let the experienced staff at Outside Connections, LLC begin work on your next media kit design. Contact us today for a free, no-obligation consultation to get the process started.